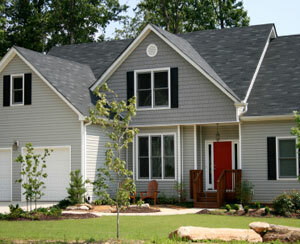 Picture Perfect Painting & Home Improvements provides Cape Cod homeowners with excellent options for home siding. Vinyl siding or wood siding will both give your home a new look and will increase your property value. Vinyl siding is now the most popular siding material in the United States. 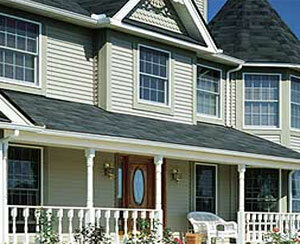 Today's vinyl siding products are extremely realistic and provide aesthetic beauty to every home. Vinyl siding also offers excellent design flexibility and is available in many siding and soffit styles, numerous color choices, and various trim options and siding accessories. Today's vinyl siding enhances any home design and easily blends your home into the neighborhood environment. For Cape Cod homeowners who prefer a natural look, we offer wood shingle siding and clapboard siding options. Cedar is the most popular wood siding choice because of its natural beauty, grain & texture, resistance to rotting, resistance to swelling & splitting, and its ability to absorb stain applications well. Cedar is commonly used in shakes and shingles, as well as clapboard siding (also called lap siding), because of its natural look and rich grain character. Cedar shingle siding and clapboard siding must be treated with stain or paint, and maintained in order to retain its rustic appearance. Picture Perfect Painting & Home Improvements is always available with wood siding maintenance or exterior painting services.